Elam & Burke is proud to announce partner Matthew Walters has accepted the position of Managing Director. 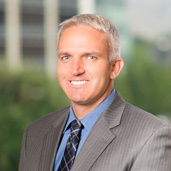 Mr. Walters has been with the firm for over fourteen years and became a member of the board of directors in 2009. Mr. Walters will lead the firm into its next chapter, focusing on advancing the firm while continuing the 90 plus years of service Elam & Burke has brought to the Treasure Valley.